On the 17th of November Bioware released the launch trailer for Dragon Age: Inquisition, which is one of the most eagerly awaited fantasy games of all time. The trailer shows what promises to be a stunning fantasy world with forests, canyons, castles and all sorts of fantasy creatures, including dragons, of course. Which of course, is fitting for a game with the words “Dragon Age” in its title. 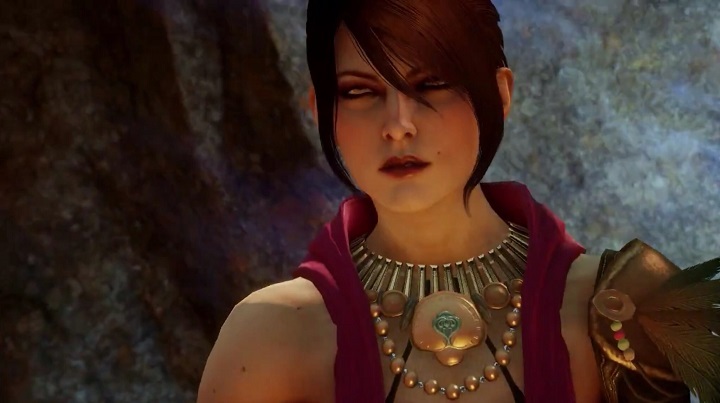 But one thing is clear: Inquisition is clearly taking cues from its predecessor Dragon Age: Origins. The original Dragon Age featured a huge world which could be explored by the player and his party, while its disappointing sequel Dragon Age II was set in a single city. And like in the original game, the fantasy world of Ferelden faces an existential threat. In Origins it was the Blight, which led ravaging hordes of Darkspawn led by an Archdemon to cause all sorts of mischief, until the beast and its minions met an untimely end at the hands of the player, the last Grey Warden. If you played the original Dragon Age, then you recall that the Grey Wardens were a do-gooder group of warriors sworn to protect the land of Ferelden. In Inquisition, Ferelden is threatened by swirling portals in the sky, through which all sorts of demonic creatures are entering the land. And of course it’s up to the player and his party to deal with this threat. In the trailer, two familiar faces appear. One is Varrick, the funny dwarf from Dragon Age II, and another is Morrigan, from the original Dragon Age. She was one of the great characters of the original game, and her presence in Inquisition sure is welcome. She appears in the later part of the trailer (she had transformed into an owl). If you have played the original Dragon Age then you know that she is a shape-shifting witch with an attitude problem and definitely a delightful woman to hang around with. A curiosity related to the game’s release is that the game has been banned in India. The reason for this is that certain scenes in the game violate local content laws, according to this article by IGN. And on a side note, the song that can be heard in the title is a version of Louis Armstrong’s “Wonderful Word”, and it appears from the trailer and the glowing reviews that Dragon Age: Inquisition sure is a wonderful role-playing game. Note: You will be able to whack gigantic dragons on the head with a weapon on the 18th of November, which is the release date for Dragon Age: Inquisition in the US. The EU release date is the 20th of November, while the UK release date is the 21st of November.